What do children do during Mad Science Camp? What does a day in camp look like? Our camps offer a daily combination of in-class discovery and exploration, outdoor games and physical activities, and hands-on applications of the scientific principles presented. The precise activities your child will get to do depend on which camp theme you register for. Regardless of which camp you choose, you can count on your child's day being jam-packed with fun and science! While our camps are hosted indoors, we make every effort to provide the children with time outdoors if the weather allows. Full-day campers get an hour-long lunch and recess every day, and many of our camps include outdoor activities to keep children up and moving throughout the day. Mad Science of Colorado has been running camps in the Denver/Metro area for over 10 years and has been conducting camps in Colorado Springs and Fort Collins since 2015. When do you hold your camps? Mad Science camps run during most periods when school is not in session. Fall Break, Winter Break, Spring Break and during the Summer months. Dates and locations vary based on time of year and availability. What is the instructor:child ratio in your camps? The child to instructor ratio varies depending on enrollment. We always have at least one Mad Scientist for every 12-13 students. What ages are your camps appropriate for? Most of our camps are designed for ages 6-11. Our “Red Hot Robots” and "Advanced Robotics" camps are appropriate for ages 8-12. If you have a 5-year old child who is interested in science, some of our camps may be appropriate. Please give us a call at (303) 403-0432 and we will be happy to make recommendations based on your child's age. Who are Mad Science camp instructors? Our Mad Scientists tend to be college students pursuing degrees in education or science, former/retired teachers, or teachers on summer break. Most of our instructors have worked for us in our after-school programs during the school year and many return each summer to teach our camps! All of our instructors have experience working with large groups of elementary-aged children and have undergone extensive background checks including fingerprinting through CBI. They also receive summer-camp specific training. While our instructors come from diverse backgrounds, they all share a love of working with children and the desire to spark and nurture their campers’ imaginations! (Note: Our instructors are not trained to handle special needs, but we are happy to work with every student who has interest in our camps. If your child has special needs, please call us at (303) 403-0432 and we will be happy to discuss possible accommodations). Are your instructors CPR Certified? Yes. Before the start of each summer camp season, Mad Science of Colorado hires an outside vendor to train all camp instructors in CPR and basic first aid. Yes, we offer extended care at many of our locations. Extended care is available for a flat rate of $55 for the week-long camp whether it is used one day or all week. Purchasing extended care allows you to drop off your child as early as 8:00AM and pick up as late as 5:00PM each day of camp. If you have more than one child attending camp, extended care must be purchased for each child. When registering for camp select "add extended care" and this service will be added to your cart. What is the difference between half-day and full-day camp? Half-day campers are grouped alongside full-day campers and complete all of the same activities and experiments during the morning while they are in attendance. Full-day campers enjoy an hour-long lunch break in the middle of the day followed by additional science activities in the afternoon. Essentially, full-day campers complete twice as many activities and projects as half-day campers. Can my child be grouped with his/her siblings or friends? Yes. We will certainly allow them to sit and work together during the camp. Some camps and dates fill up very quickly, while others may have spaces available up to the start date. We recommend that you register as soon as possible, because space availability depends on how quickly everyone else signs up! Of course, in fact, we encourage it! Each camp theme is completely different so your child can enjoy them all without repeating activities. Do you offer discounts for siblings or for children attending multiple camps? Please send us an email at info@madscience.tv and we will be happy to provide you with the appropriate discount codes so you can register. Call us at (303) 403-0432 and we will be happy to look it up for you! Typically, the minimum number of campers necessary to hold a camp is 10. However, we may run camps with lower numbers if certain conditions exist. Mad Science tries to inform parents as soon as possible should it appear that a camp will not reach its minimum enrollment (see our cancellation policy below). 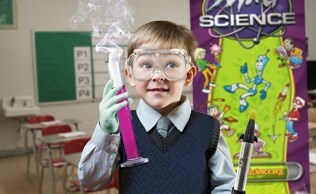 Mad Science provides all the equipment and materials for both the in-class activities and the take home projects. All you need to provide is a child who is ready to have fun! Children should dress comfortably and be prepared for Colorado's ever-changing weather. For safety reasons, we ask that children wear closed-toe shoes to camp -- no flip-flops please! A sack lunch for full-day campers (NOTE: We cannot guarantee that all camp locations have refrigerators or microwaves, please pack your child's lunch accordingly). A hat and/or sunglasses may also be useful. If your child would benefit from additional calories during the day, please pack additional snack items. For the safety of our campers, we kindly ask that you refrain from sending your child with peanut-based foods, and we do not allow nut products in our camps when at least one child in attendance has a nut allergy. Please clearly mark your child's name on all items he/she brings to the camp. Do I need to provide any medical information about my child? Prior to actual attendance at a Mad Science summer camp, we require certain medical information from you regarding your camper. This is to assist the camp instructor with knowledge of specific considerations for your camper. Please inform us of any medical, developmental/cognitive or behavioral concerns your child has at the time of registration. You must be aware that all summer-camp activities involve some risk, and, by registering for a camp, there is an assumption of risk made by the participant. Mad Science is dedicated to securing safe facilities for our camps and using personnel and equipment that is designed to be safe. 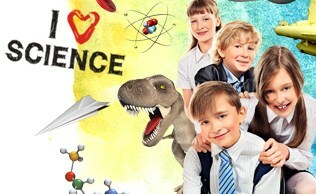 By enrolling your child in a Mad Science camp, you agree to not hold Mad Science Group, its Franchisees, Agents, Representatives, Facilities, Employees, Managers, Contractors and Instructors liable for any medical emergencies or conditions your child may experience, related directly or indirectly to a camp. My child has allergies, other medical concerns or a disability. Can he/she still participate and how does your staff handle students with special needs? We welcome any and all students who have a passion for science and desire to participate in our programs -- however, please note that our instructors are not trained to handle special needs. Additionally, our instructors are not certified to dispense medication and cannot administer medicine to students during the program. If your child has a medical condition or disability, please communicate this to us clearly at the time of registration. We highly recommend making a follow up call to our office and discussing potential accommodations we can make for your student if necessary. In the past, many parents of children with special needs have provided us with tip sheets unique to their child, and our instructors have found this extremely helpful. We want our programs to be a great experience for every child in attendance, and the more information you provide us with the better chance we have of making that happen for your student! Are there additional charges or fees? The price of the camp is all inclusive and no extra fees or charges are associated with camps hosted by Mad Science of Colorado. In some cases, our partner locations may have an additional fee when hosting a Mad Science camp. Usually this happens at recreation centers that partner with us. If a camper lives outside of the recreation district, the recreation center may charge a different fee. While these fees vary in each recreation district, they are usually posted on their websites. Mad Science of Colorado does not establish this fee and we do not receive any portion as payment for running a camp at that location. I want to host my own Mad Science camp...is this an option? Of course! If our schedule does not work with YOUR schedule then bring Mad Science to you! All you need is 10 children and a safe place to hold the camp! We may even be able to adjust the start time, length of the day, number of days, or customize our programming to exactly match your needs. Give us a call at (303) 403-0432 and we will be happy to discuss scheduling a camp with you. If Mad Science Cancels a Camp: We make all decisions regarding camp cancellation at least one week prior to the start of camp and will inform you as soon as we reach this decision. If we do not get sufficient enrollment to hold the camp, Mad Science will make every effort to provide you with an alternative camp location for the week you have signed up for, or you will be offered the option of a full refund. Refunds are usually processed in 2-3 business days from the time of cancellation. Please note that refunds involving rebates and discounts can take longer to process. If You Need to Cancel Your Registration: Cancellations communicated to Mad Science more than one month out from the start date of camp will receive a full refund, less a $25 service charge. Cancellations communicated to Mad Science more than one week, but less than one month out from the start of camp will receive a full refund, less a $50 service charge. Cancellations communicated to Mad Science less than one week out from the start date do not receive a refund, but you can transfer your registration to a different camp at any point with no service fee.